Vitafoam Products Limited, a manufacturer of innovative foam based products, has added the Comfort brand, a two-sided sleep system, to its range of mattresses manufactured at the Company’s factory along ICDC Road (Maasai Road) off Mombasa Road. The company specializes in manufacturing flexible polyurethane foam products, which include mattresses, foam sheets, cushions, carpet underlay, bolsters and pillows of different densities and sizes. Most of the company’s mattresses carry a warranty of seven years. The Comfort mattress is made of heavy, resilient foam, which is a unique regulating foam proven to offer body contour and relaxation. The resilient foam has the highest grade of polyurethane foam that distributes pressure across an entire surface. The two-sided sleep system of this product provides a choice of a soft, or firm mattress. Mira Shah, a sleep specialist said, “Human beings tend to get preoccupied with their daily work and forget the value of sleeping well. Good sleep is not only dependent on the amount of hours spent in bed, but by the quality of bedding materials especially mattresses and pillows. Vitafoam’s sleep specialist said that this sensor mat has capabilities of recognizing one’s body weights. When the customer lies on a mattress fitted with this mat, the sensing points within the mat register how much pressure is being exerted upon them. The information is relayed to the monitor and a corresponding pressure distribution map of the customer’s body is displayed indicating high and low pressure areas helping a client choose the right mattress. Motion, the other mattress manufactured by Vitafoam, is ergonomically designed to provide perfect ventilation and optimum support to the whole body. It is made especially for adjustable beds and can be used comfortably on a slanted platform without damaging the mattress. Its soft springy feel makes it extra cosy for sleep and has an open cell light structure for optimal airflow and elasticity. Depending on the components, a good orthopaedic mattress can last for over 12 years without losing the required support. 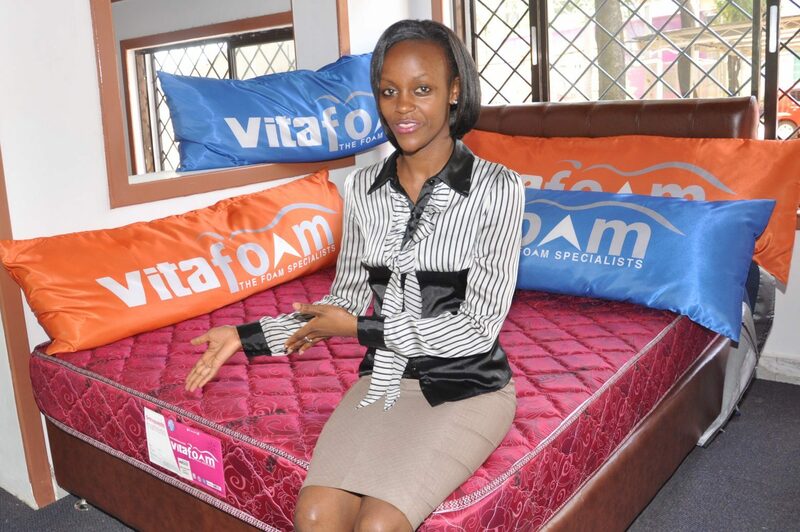 Vitafoam‘s orthopaedic mattress is made from different layers of foam as recommend by their medical practitioner. Also in the Vitafoam’s showrooms are memory toppers, which can be used by a those who feel they need more comfort on their mattress. It is made of pure visco-elastic memory foam and is available in 2” thickness.